HIGH POINT, N.C. – (August 21, 2018) - New and returning exhibitors are adding to the breadth and depth of available resources at Historic Market Square and the Suites at Market Square for October High Point Market, running Oct. 13 – Oct. 17, 2018. For Fall Market, nearly 30 new exhibitors are debuting in the Suites at Market Square. Among the new tenants are Cuddledown; Hite House Couture; Hubbardton Forge; Ivena International; and Suzanne Nicoll Studio. Included are several newcomers for The Rug Show, a curated collection of 20+ rug vendors from around the world. To learn more, go to http://www.imchighpointmarket.com/suites-at-market-square/. Also new this Market, the Hospitality Design Studio will debut on Oct. 14 and Oct. 15 in the Suites at Market Square. The temporary showroom space will house a consortium of the industry’s leading hospitality brands and products, including Art Trends; Artisan House; Belle Meade Hospitality; Culp Hospitality; CCF (Custom Contract Furnishings); Euro Style Contract; JLF Collections; and Phillips Collection, among others. The HD Studio will also include The Hospitality Hub, an information center designed to help the hospitality and contract trade learn more about the resources available at High Point Market. The adjacent Historic Market Square includes five floors of showrooms encompassing 430,000 square feet and features a variety of high-end product including rugs, wall art and furniture. New exhibitors for Fall Market include: Unique Loom/Handknotted in MS290 and Common Ground in MS288. 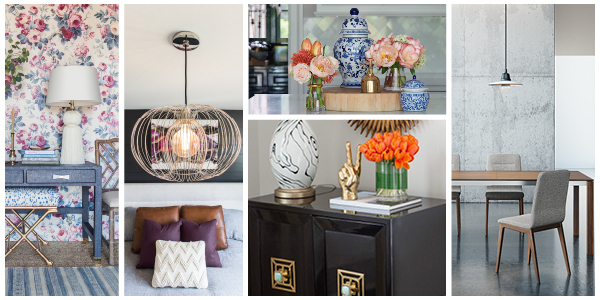 Notable returning exhibitors include: Dovetail, Feizy, Kravet, Littman Lighting, Stark, and Thibaut. The Antique & Design Center is also located in Historic Market Square on the Ground Floor and the Mezzanine above the Boiler Room Bar. Open from Oct. 11 to Oct. 17, the center is a favorite destination for interior designers looking for one-of-a-kind pieces. IMC, which Blackstone and Fireside Investments acquired in 2017, is the world's largest owner and operator of premier showroom space for the furnishings, home décor, gift and apparel industries, with nearly 20 million square feet of world-class exhibition space in High Point, N.C., Las Vegas, N.V., and Atlanta, G.A. The Company’s mission is to build and operate an innovative, sustainable, profitable and scalable platform for the furnishings, home décor, gift and apparel industries. For more information, please visit www.imcenters.com.